A couple of weeks have passed since the sights and experiences of World Horror Convention in New Orleans. I had a great time meeting old friends I’d never met in person, meeting new people I have since become Facebook friends with, eating in NOLA, getting to do two book pitches and seeing how it worked, seeing many great panels, selling some books, posing for many pictures… I had a great time and I know it helped build my career and my networking. But of all the people I met that great weekend, Joe McKinney was easily the one I wanted to meet the most. 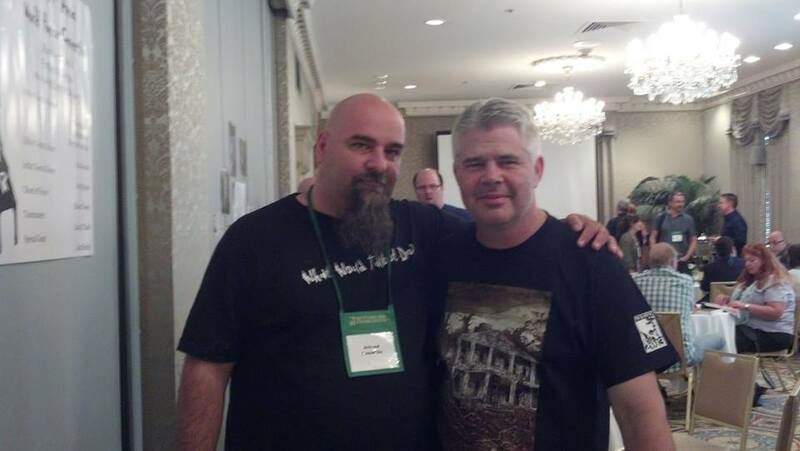 Sure, I was super-excited to meet John Everson finally, see Jonathan Maberry and his shirts, see Jeff Strand again and his amazing better half, Lynne Hansen, and Tim Marquitz is a mountain of a man, but Zombie Joe is where it’s at for me.